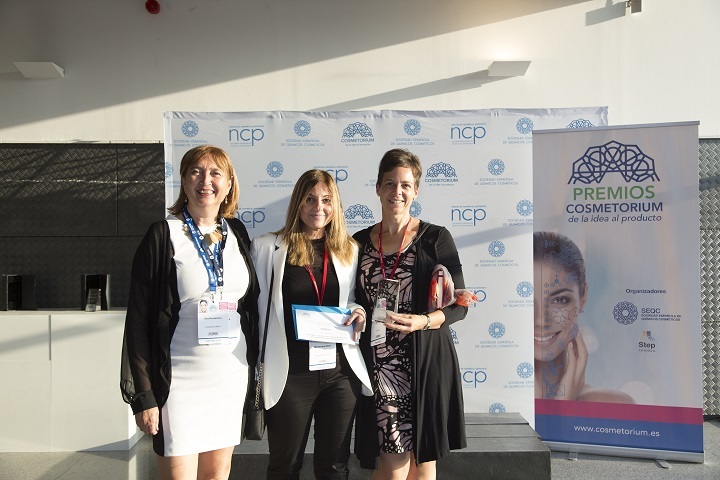 The first edition of the Cosmetorium Awards took place on the 3rd October 2017 and was divided into two categories: Innovation Award and Sustainability Award. Application area: skin (whole body but mainly face). Physical form: White powder soluble in oil. Market objective: Hyperpigmentation of the skin. Those who seek a unified skin tone and a natural solution. 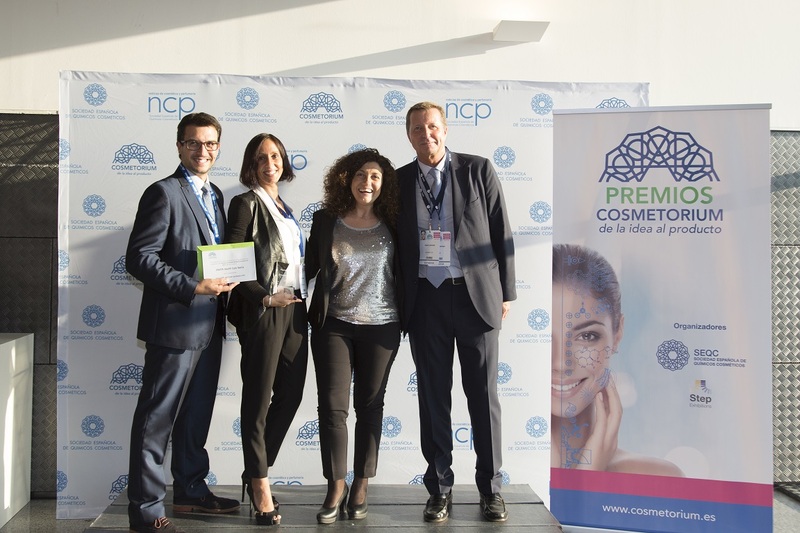 Reason for innovation: In our research program on the effect of the show (UVA, UVB, IR, visible light, pollution, snuff, temperature, bacteria, stress) in the pigmentation of the skin, a natural asset has been developed that protects the skin of the formation of dark spots induced by the exposoma. The asset in question is the solid, capable of modulating the communication-response to external aggressions and preserving the luminosity of the skin. Product category: Biodegradable emollient agent with a valuable performance and low environmental impact. From renewable European crops. Application area: Skin care, toiletries and make-up. Physical form: Clear oily liquid. Target market: It is an exceptional innovation in the care of the skin thanks to a pleasant texture and skin feeling. It is suitable for protection against the sun and for makeup, due to its excellent solubilisation properties, dispersion of UV filters and pigments. Reason for sustainability: Today, several classes of esters are in the eye of storms due to their origin in the food chain and the acquisition of this type of oil is destroying forests. To avoid this, ester producers have two different options: reduce environmental impact by using vegetable oils from a controlled supply chain, or produce from different sources. Celus-BI® gives a leading role to the eco-sustainability of the product. 450 ha in the northwest of Sardinia (Italy) and with the participation of more than 50 local farmers, which are expected to increase in large scale to 3.5 kha, focusing the effort on the application of sustainable agronomic techniques. An industrial plant completely converted to “green chemistry” allows the creation of high purity pelargonic acid (greater than 98%) from thistle seed extract, grown locally on marginal lands. The result is 100% without food competition and a complete respect for the environment.